This dual shaded pattern looks elegant. 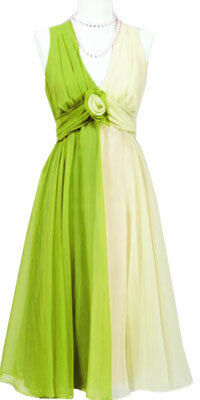 The contrasting shades of green are here at display in this beautifully designed dress. 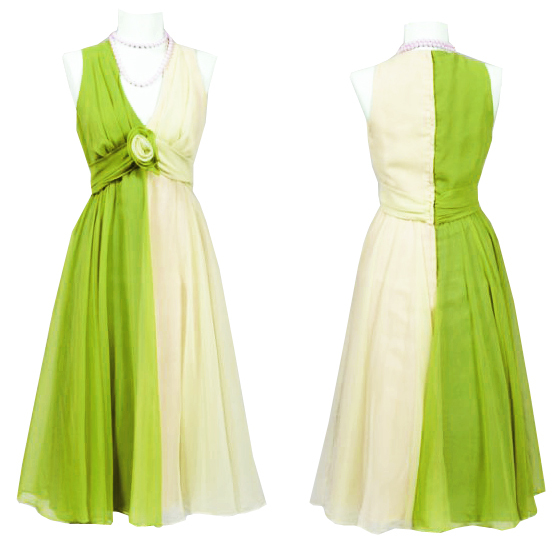 The sleeveless pattern followed by a deep V neckline which includes a floral waist decoration on the waist is an eye catchy feature. The free flowing skirt adds grace to the whole attire. He fashion of 70s is back with this dual shaded pattern.